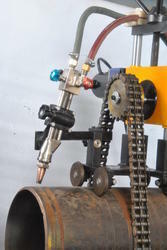 Leading Manufacturer of pipe gas cutting beveling machine and portable gas pipe cutting bevelling machine from Pune. 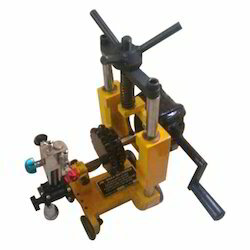 The Auto Pipe Gas Cutting Machine manufactured by us is renowned across the country for its optimum quality, functionality and energy-efficiency. In order to sustain harsh site conditions, the machine is made using steel. For easy accessibility to the clamping chain, the machine uses the available chains, rather than specially designed chains. The Pipe Gas Cutting Machine manufactured by us is renowned across the country for its optimum quality, functionality and energy-efficiency. In order to sustain harsh site conditions the machine is made using steel. For easy accessibility to the clamping chain, the machine uses the available chains, rather than specially designed chains.